Since the closing of the Macedonian border to Greece in early 2016, the use of immigration detention has been an increasing concern to human rights bodies. 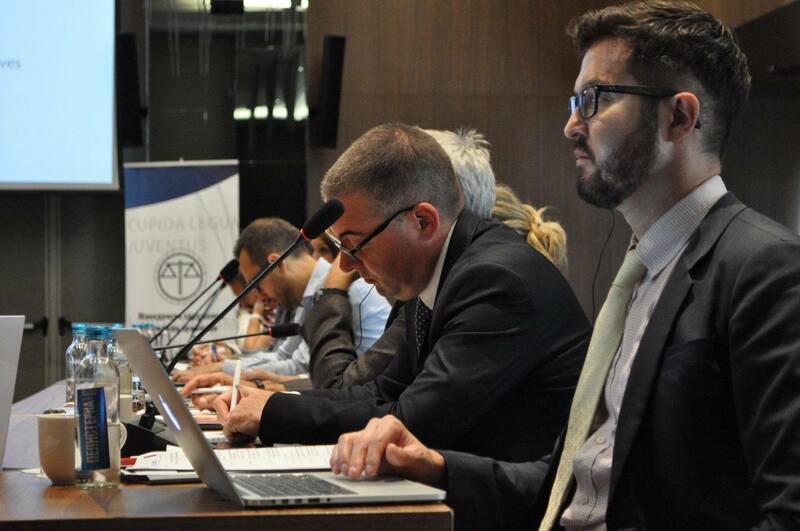 IDC member Macedonian Young Lawyers Association’s (MYLA) recent report found a range of detention concerns in the country, including the detention of children and asylum seekers and a lack of available alternatives to detention. In response, a tripartite conference was organised by the Macedonian Young Lawyers Association (MYLA) in collaboration with the UNHCR Office in Skopje with the support of the European Union. The IDC recently presented at the conference on immigration detention exploring current practices, relevant legislation and possible alternatives. Representatives at the conference included MYLA, UNHCR, International Detention Coalition, Ombudsman of RM, Sector for Border Affairs and Migration (Ministry of Interior), Sector for Foreigners (Ministry of Interior), and a university professor delivered presentations and the Center for Legal Aid – Voice in Bulgaria, who is a member of the European Alternatives to Detention Network. The Center for Legal Aid – Voice in Bulgaria (CLA) presented at the conference, about a pilot alternatives to detention project they are running with the Bulgarian Lawyers for Human Rights (BLHR). The project implements case management in an individualised and holistic manner with a target group of 50-60 migrants for 24 months. The pilot aims to achieve successful case resolution without resort to detention, as well as to promote community-based alternatives to detention. Legislative changes are needed in order to ensure that the human rights of detainees are respected and fulfilled. MYLA, UNHCR and relevant CSOs should be included in working groups for amendments to the relevant legal framework in order to contribute with expertise. MYLA and the IDC continue to explore possible alternatives to immigration detention following the outcomes of the workshop. For the latest update, see Global Detention Project profile on Macedonia.